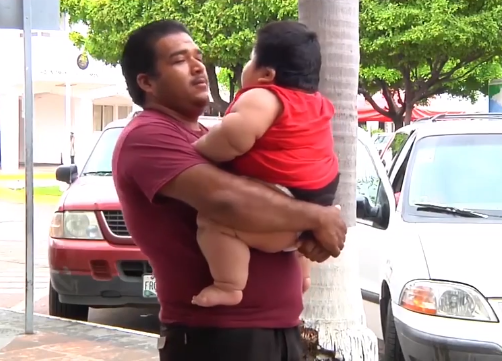 A 10-month-old baby weighs as much as a nine-year-old at a massive weight of four stone and 10 pounds. 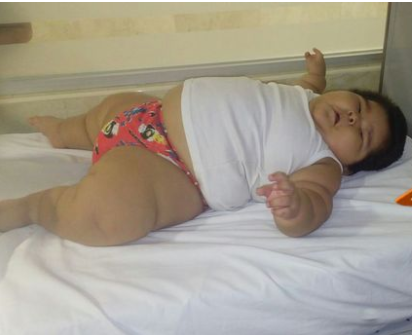 Luis Manuel weighed a normal healthy weight when he was born at seven pounds and 11 ounces, but since then he has put on a lot of weight. His parents suspect the child, who has struggled to breathe because of his rapid weight gain, suffers from Prader-Willi syndrome. This is the same condition affecting Katie Price's son, Harvey. It is a genetic disorder and means those affected are permanently hungry. Luis' mother Isabel Pantoja said: "After only one month we noticed that clothes did not fit him and we had to dress him in clothes for a one-year-old, and even a two-year-old. We saw our baby gain weight so fast. Sometimes, he could not sleep because he felt like he was suffocating due to his weight." Luis' parents have now launched a fundraising campaign to pay for his treatment if his diagnosis is confirmed by doctors in Tecoman, Mexico. Treatment would consist of a series of hormone injections, with each one reportedly costing more than £400. 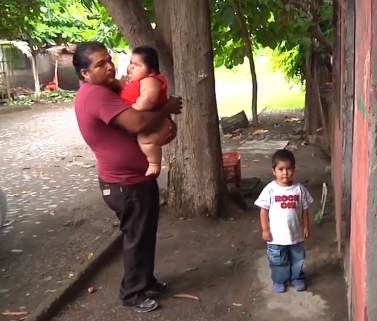 Doctors say Luis Manuel is currently the normal weight for a nine-year-old boy even though he is just 10 months old. Doctors in Tecoman say Luis Manuel would be the first ever recorded case of the condition in the city. The boy's father, Mario Gonzalez, said he was worried about the health implications for his son. He said: "In some cases, kids have died because of a heart attack due to being so overweight." The family have opened a bank account to enable well-wishers to donate towards his care.